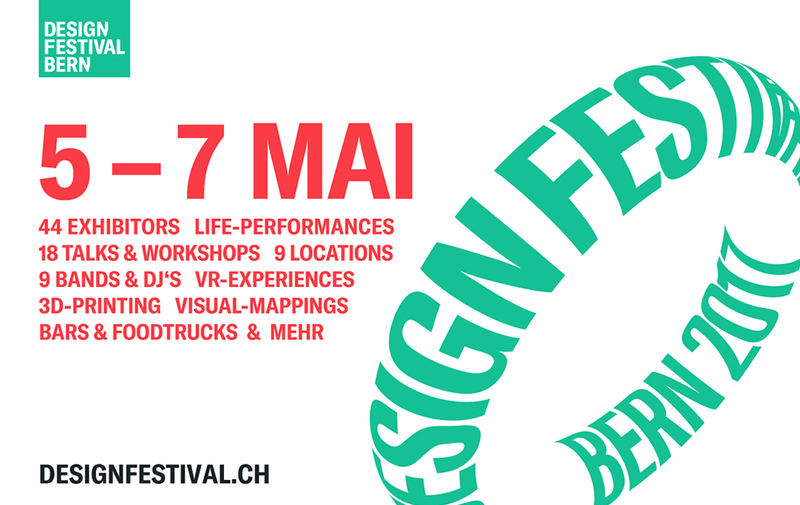 From Friday 3rd to Sunday 5th of May [ digimorphé ] will exhibit for the second time at the Design Festival Bern, an event dedicated to creativity with exhibitions, talks and music. My stand, where my jewelry pieces will also be on sale, is located at Kornhausforum (opening hours: Fri. 18-22, Sat. 12-22, Sun. 12-18). For more information visit designfestival.ch. 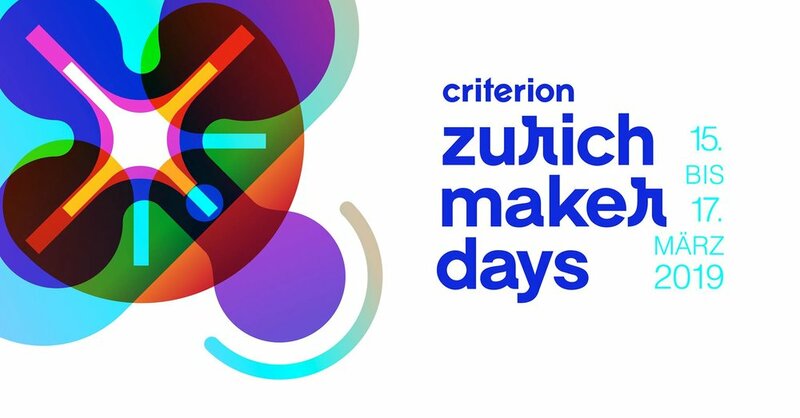 Sunday, the 17th of March 2019 I will give a talk (in German) about my work as digital artisan at the first “Zurich Maker Days”, an event dedicated to the creative makers of the city. Join me beginning at 2:30 PM at Impact Hub Zürich, Sihlquai 131, the entrance is free. For more information visit zurichmakers.ch. I would like to thank Christoph Zellweger, head of the Bachelor XS Schmuck at Hochschule Luzern – Design & Kunst (Lucerne School of Art and Design), for inviting me to give a talk about my work and discuss the topics “digitales Handwerk – digitaler Entwurf – digitale Perspektiven” together with Manuela Weingart last Thursday in Lucerne. A big thank you goes also to the students, who participated actively in the discussion, sharing their expertise, experiences and hopes for the future: I went back to work with new energy and ideas! 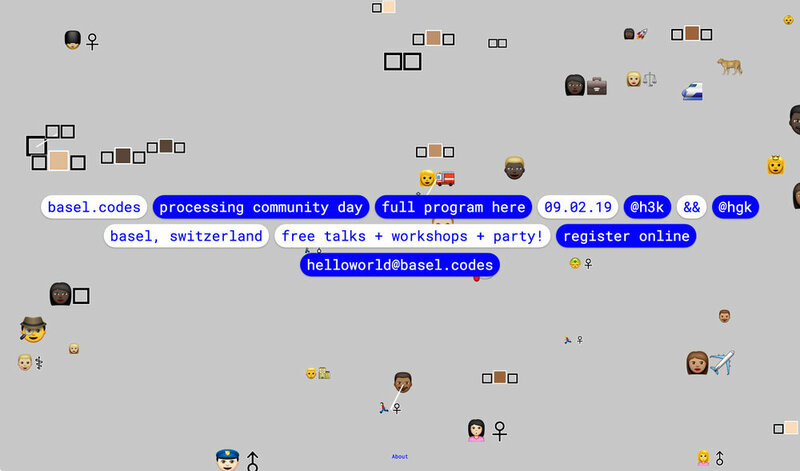 Next Saturday, the 9th of February, I will give a talk about using the open-source platform Processing for designing 3D printed jewelry at the first Processing Community Day in Basel in cooperation with the FHNW Academy of Art and Design, basel.codes and the HeK - House of Electronic Arts Basel. There will also be workshops and a party! For more information visit: www.hek.ch. [ digimorphé ] pieces will be on display and sale at NOW THE FAIR in Basel, in the formforum pop up store in hall 2.2, booth N001. The event will take place on two weekends in February and the entry is free. On both Sundays (February 10th and February 17th) I will be present at the fair with my desktop 3D printer to show my process and discuss with the audience: I am looking forward to meet you there and show you my work. For more information visit nowthefair.ch. I’m very happy to announce that I have been invited by the committee of the Kunstgewerbeverein in Frankfurt am Main to participate at their exhibition “M. 18” at the Historic Villa Metzler of the Museum of Applied Arts (Museum Angewandte Kunst), from Friday 16th to Sunday 18th of November 2018. For more information visit www.kgv-frankfurt.de/veranstaltungen. 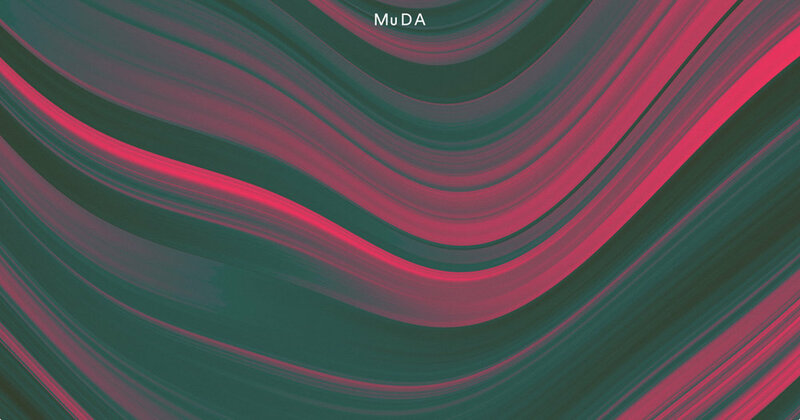 From the 20th to the 29th of April 2018 [ digimorphé ] pieces will be on display and sale at the muba fair in Basel, in the formforum pop up store in hall 2.2, booth D001. formforum is the Swiss association for contemporary design and craft. From Friday 20th until Sunday 22th of April I will be present at the fair with my desktop 3D printer and other tools to show my process and discuss with the audience, I’m looking forward to meet you there in person. For more information visit https://www.facebook.com/events/897603580406144/. 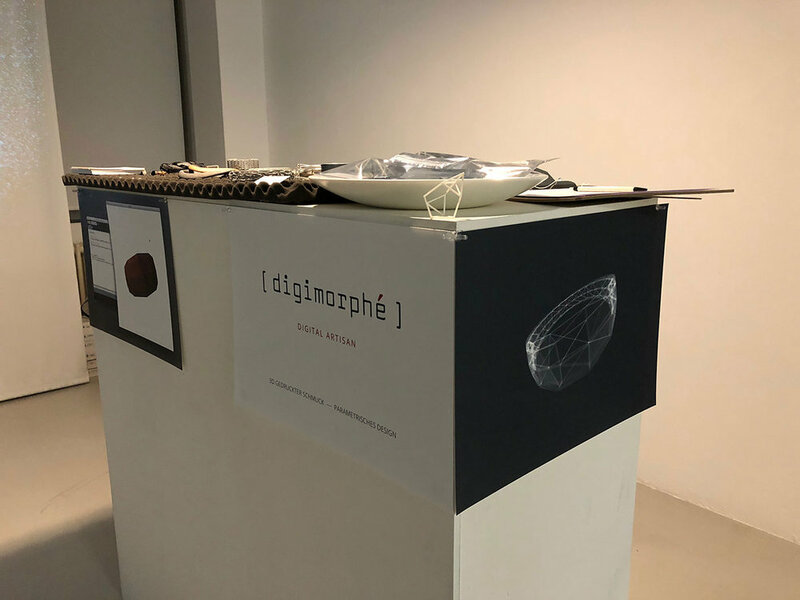 Last week I had the pleasure to be part of the first Digital Holiday Market at the MuDA Museum of Digital Art in Zürich. The museum opened last year and is dedicated to the art of code and the questions raised by the interactions between data, algorithms and society. It soon became one of my favorite places in town: it hosts very inspiring exhibitions featuring artists and practitioners using code to create works at the intersection of science and creativity and organizes events, workshops and talks related to this subjects. Below some impressions of the venue and the event, thank you very much to the organizers and the attendants for the great evening! Escape the holiday rush and enjoy an evening at one of the most inspiring places in Zürich: the Museum of Digital Art. On the 7th of December, starting 7 PM, digital artists and makers have the opportunity to exhibit and sell their artworks and creations in this exceptional venue, and [ digimorphé ] will be there too. Mulled wine and digital cookies will be served, along with some cool 8-bit Christmas sounds, see you there! For more information visit https://www.facebook.com/events/128699487821088/. “Zürich meets Hong Kong: A Festival of Two Cities” is part of a global celebration series connecting Zurich with other cities in the world. This year the festival arrives in Hong Kong on 21-29 October 2017, and [ digimorphé ] is pleased to have been chosen to represent Zurich’s creative industries together with established brands like Freitag and Qwstion. 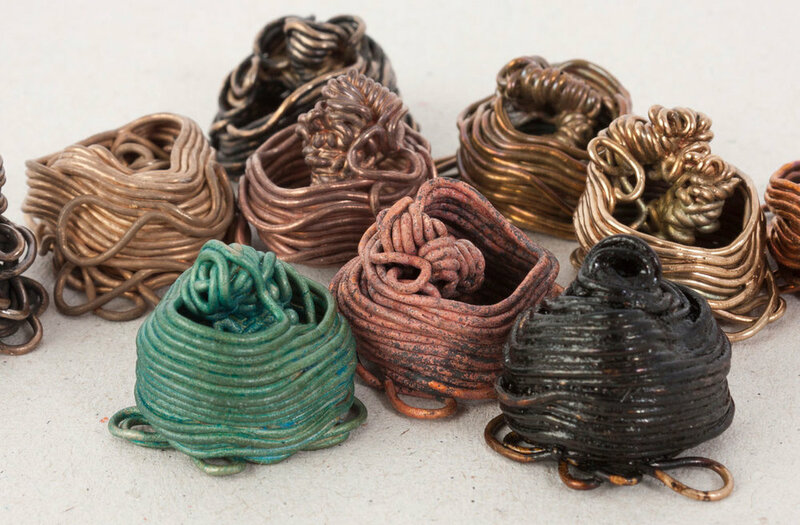 A selection of the collection will be on sale at the Swiss Design Market pop-up store located in the K11 shopping center in Hong Kong. For more information visit zurichmeetshongkong.org. Since 2015 I am a member of Impact Hub Zürich, a collaborative global community for innovators and entrepreneurs. Now they are organizing the first Impact Markt, where it will possible to discover products and services of the vibrant Hub community, and [ digimorphé ] will participate with a stand. Free workshops and delicious food will also be on offer, on Saturday 23 September starting at 11 AM at Colab, Sihlquai 131, see you there! For more information visit https://zurich.impacthub.ch/de/event/impact-markt. 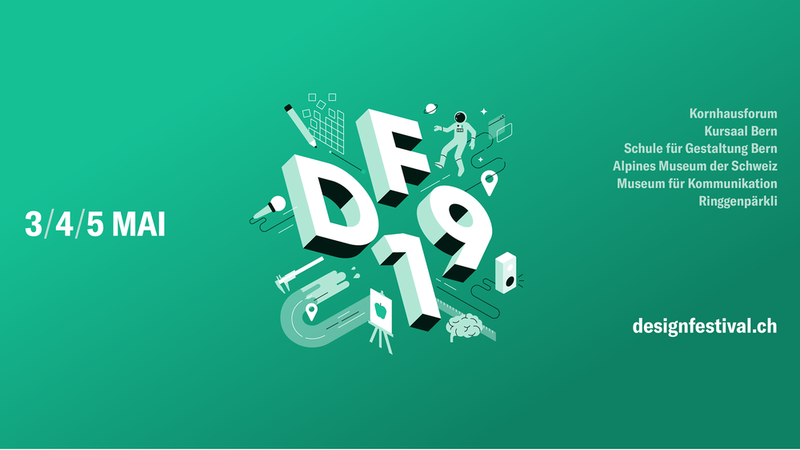 Saturday 17th and Sunday 18th of June the international Forward Festival for creativity, design and communication will stop in Zurich at FREITAG F-actory. 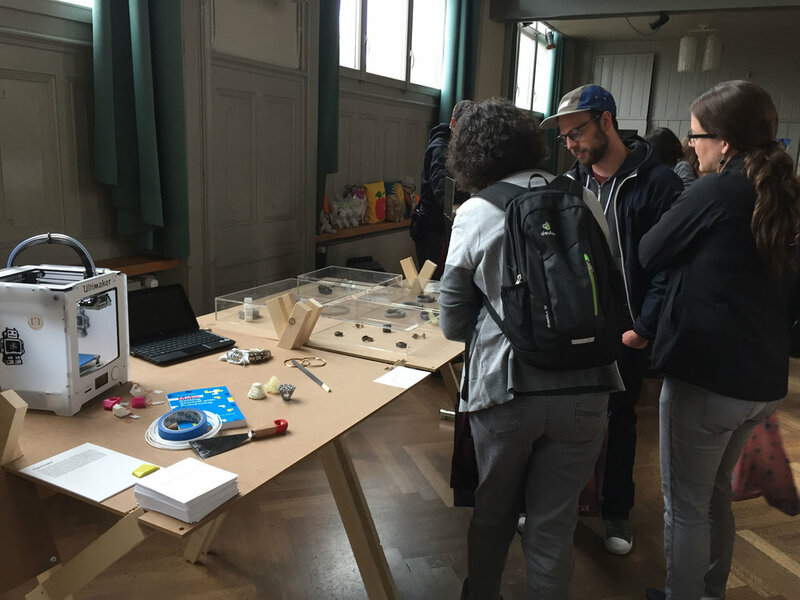 [ digimorphé ] has been invited by Creative Hub to exhibit and sell products together with other Swiss designers at the event that will bring together creative people from different backgrounds and countries. For more information visit forward-festival.com/zurich. Below some impressions from the Design Festival Bern. Thank you very much to the organizers and the attendants for the inspiring weekend! I’m happy to announce that [ digimorphé ] will exhibit at the Design Festival Bern. From Friday 5th to Sunday 7th of May the event will provide a platform for creative professionals and design enthusiasts alike, with exhibitions, talks, workshops, music and food. My exhibit will be at PROGR, 1st floor, Waisenhausplatz 30 (opening hours: Fri.-Sat. 11-20, Sun. 11-18).